is the owner of MASH (Main St Animal Services Of Hopkinton) in Hopkinton Massachusetts, establish 1983. It is a full service integrative veterinary clinic with acupuncture, homeopathy, ozone therapy, hyperbaric oxygen, chiropractic, herbal medicine, surgery and dentistry, with a large focus on nutrition and evaluation of the immune system with titers and other supportive testing. Margo Roman, D.V.M. graduated from Tuskegee University School of Veterinary Medicine in Alabama in 1978. She did her undergraduate work at the University of Florida. She was a student of the International Veterinary Acupuncture Course in 1976, 2000, 2001. Dr. Roman did her Externship in 1976 at The Animal Medical Center in New York City. Her internship from 1978 to 1979 was at Angell Memorial in Boston, MA. 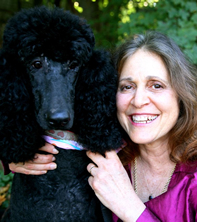 She was on faculty at Tufts University Veterinary School from 1979-1986. She was a student of Dr Luc Deschepper and Dr. Richard Pitcairn, and has lectured nationally and internationally, as well as written many articles and contributed to several books.